Sometimes I wonder how I got here. I certainly didn’t have the aptitude, the background or the education for it. And I don’t believe it was inevitable or necessary. But what’s not necessary can be vital, and once you breath it, you can’t give it up. And when it comes to Shakespeare, who is neither my job, my livelihood or my educational background, someone has to make the case for the lowbrow, unscholarly pleasures of his plays. So here are my five reasons for loving Shakespeare. Before seeing the new Royal Shakespeare production of Richard II, I wasn’t sure I should review it. I made no secret of the fact I was excited about it but the dark side of anticipation is it builds fortresses between what you want something to be and what it is. Could I be open enough and would the production be strong enough to guide me away from misguided preconceptions? I shouldn’t have worried. In the hands of Greg Doran and his talented cast, the story of a king’s fall from grace takes flight in interesting directions, opens doors I hadn’t seen opened before and more importantly it’s a dramatically thrilling ride. Unfortunately, the title of this post doesn’t reflect my personal experience but the multimedia and audience engagement work done by the Royal Shakespeare Company and Illuminations around the upcoming production of Richard II. (Yes, I am referring to the David Tennant / Greg Doran Richard II, and if you still don’t know what I am talking about, you definitely found your way here by mistake). Richard II opens in less than three weeks – have they started feeling the pressure yet ? I might be taking too much pleasure in this thought – and the RSC has posted a series of production video diaries, of which the most recent is my favourite, as it provides a rare glimpse into the rehearsal process. 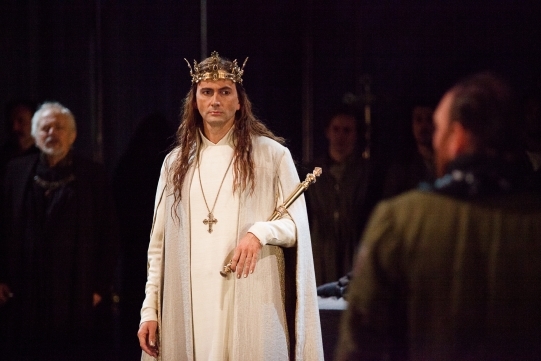 I have never hidden (or moderated) my excitement for the upcoming Royal Shakespeare Company production of Richard II. David Tennant’s most recent work in Stratford – with Hamlet but also Love’s Labour’s Lost – holds some of my best theatre memories and I am unashamedly overexcited by the prospect of seeing him again in a favourite Shakespeare play under the direction of Greg Doran. (Very few names of the remaining cast have been announced, but if Michael Pennington and Oliver Ford Davies are any indication, I won’t be disappointed). What does it take to advertise the arts? 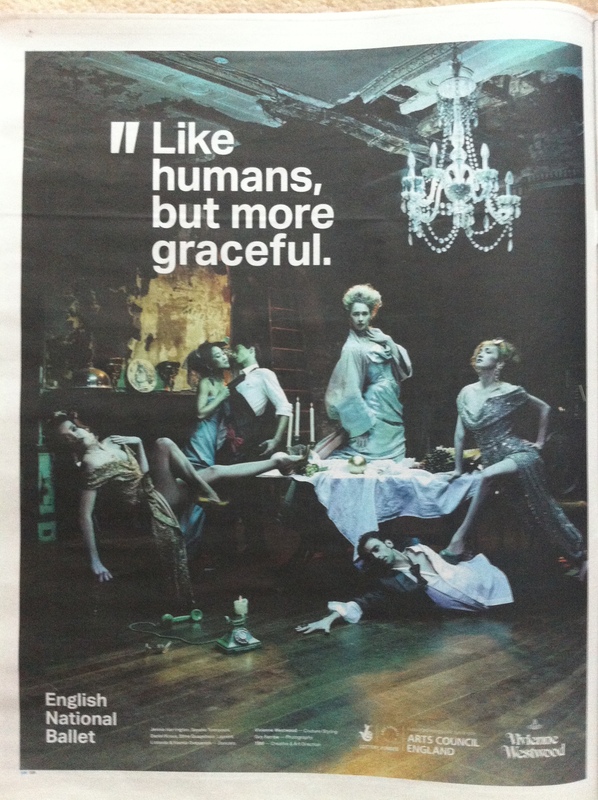 And does theatre have an image problem? Ballet as you have never seen it before. I still like print papers. I like to see the article position in a page, the space it takes, the section it appears, the print ads that surround it. It’s not unusual for this ecosystem to throw unexpected partnerships and hidden meanings. As it happens (and to the surprise of no one), I spend much of my time in the Culture sections of the weekend papers. And inevitably, I pay attention to the ads. Richard II: Who is fit to abdicate the crown? 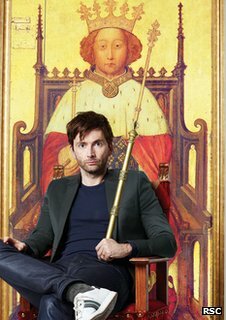 It’s been coming for a while, but at last, this past week, it was formally announced that David Tennant will return to the Royal Shakespeare Company to play the title role in Richard II. Greg Doran starts his time as artistic director with an exciting season that, in addition to Tennant’s Richard II, includes stage adaptations of Hilary Mantel’s Wolf Hall and Bring up the Bodies at the Swan theatre. But undoubtedly the big media story is Tennant as the deposed king.